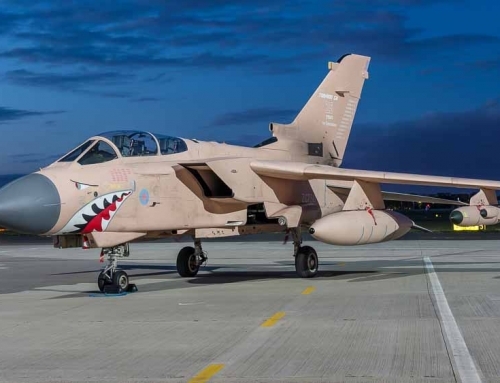 Now home to the British Army, former RAF Wattisham was once a major front line air base during the cold war, home to classic aircraft such as the Lightning, Hunter and Phantom. And on this bitterly cold Sunday in February Timeline Events had secured an afternoon and nightshoot with the Station Heritage Museum’s resident McDonald Douglas Phantom XT914 and Hawker Hunter XG194. The event started with a grand unveiling of the Station Heritage Museum’s McDonald Douglas Phantom XT914 . Positioned inside the cold war HAS (Hardened Aircraft Shelter), the doors opened one at a time to reveal the Phantom and two pilots complete with smoke. The Phantom was then towed outside for shots in the winter sun before the two pilots and two ground crew added various cameo’s. 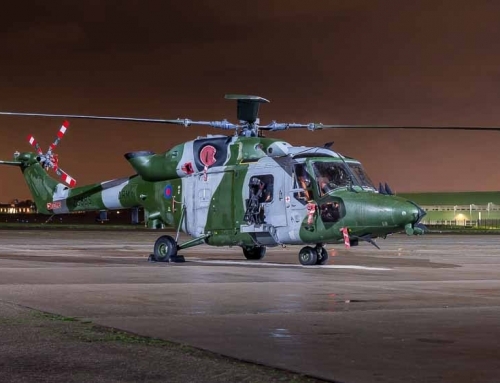 The station then transferred to the control of the British Army in September 1993 and the Army Air Corps soon moved in to what is now the biggest centralised Army Airfield in the UK and home to the Army Air Corp’s Westland WAH-64 Apaches. The second aircraft on offer was Hawker Hunter XG194 which was positioned outside of a second HAS, again on its own and with re-enactors to bring it to life. XG194 has had a varied life, having been delivered to the RAF in October 1956 she was the lead aircraft in the Black Arrows Display Team when they performed a 22 aircraft loop at Farnborough Air show in July 1958. 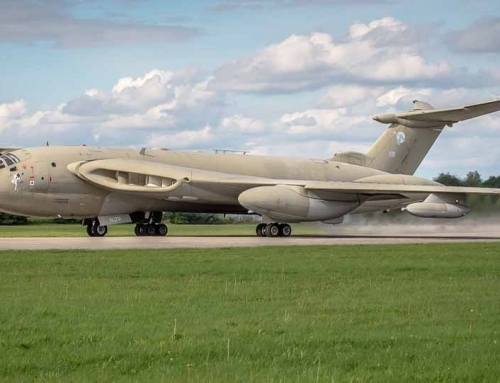 Flown by Air Commodore Roger Topp, Wattisham Airfield Museum has named her ‘Blackjack’ in honour of Air Commodore Topp as Blackjack Red One was his call sign whilst performing this record breaking manoeuvre. 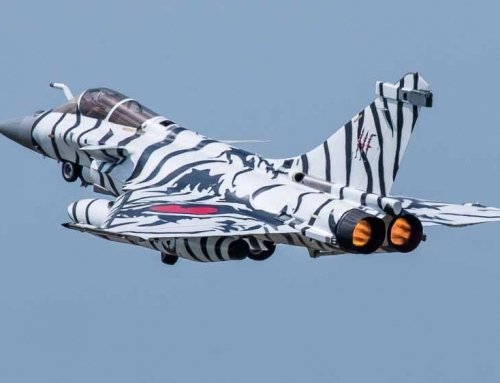 When the aircraft was finally grounded it was modified to resemble a Russian Mig and was used by the Army and RAF to train personnel on disarming Warsaw pact aircraft that had defected. 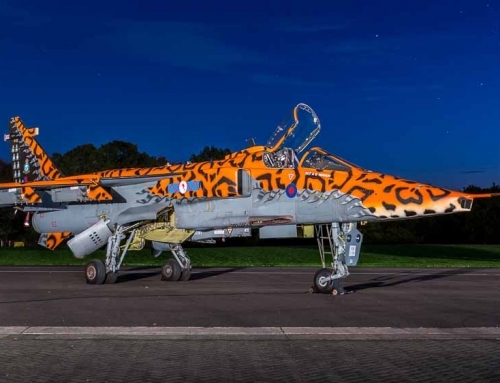 In November 2009 she was finally rescued from outdoor life and transported to the Wattisham Airfield Museum where she was restored to her Black Arrows colour scheme. As the sun set behind the Phantom, the photographer’s moved round for silhouette shots. The temperature also fell as well with the biting winds pushing the wind chill factor well below freezing. Thankfully the museum volunteers had tea and cake to warm up the togs in the back of the HAS. The photographer’s that had braved the freezing temperatures to return out of the HAS were rewarded with a fantastic blue hour as twilight set in and the lights were turned on. Once darkness had fully set in and everyone had got shots of the Phantom on her own, the re-enactors were tempted out of the warmth of the HAS to create further cameo scenes under the lights. For the final shot of the night Phantom XT914 was pushed back into her hanger and backlit with the smoke machines on full to create a smoky silhouette. 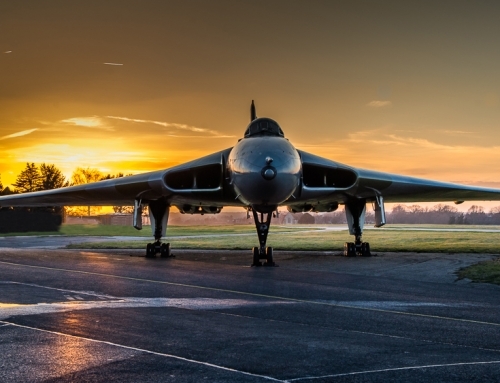 The shoot was an outstanding success with a rare opportunity to shoot two iconic cold war airframes on an active base. Although the angles on the Hunter were challenging at times due to modern signs and fixtures, the Phantom couldn’t have been better places with the HAS and adjourning trees beautifully placed for the sunset.